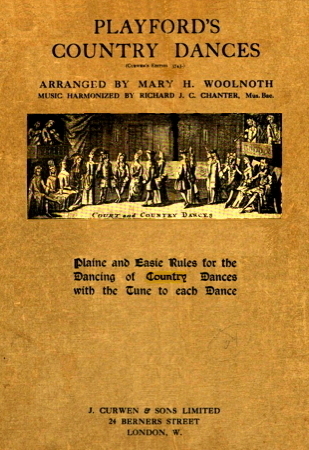 Information: Mary H. Woolnoth, author of books about English dance and arranger of dances for books by others. Four national dances: the sailor's hornpipe, the Irish jig, the Scotch reel, Cadair Idris. G. T. Kimmins; dances arranged by M. H. Woolnoth. London: Curwen; New York: Schirmer, 1910. Playford's Country Dances. Woolnoth, Mary H.: music harmonized by R.J.C. Chanter. London: Curwen, 1923, 25p. (OCLC 6550295).